A.A. Bondy has always been something of an itinerant: Not only does he tour almost constantly, but he wanders even in his downtime. He hails from Birmingham, Alabama, and since then has made his home in New York State and Mississippi. For him geography is crucial: Each place offers new lessons, new sounds, and new histories, and Bondy has absorbed them all. His first two solos albums, American Hearts in 2007 and When the Devil’s Loose in 2009, mix southern rock and Delta blues with Woodstock Americana to create a personal style that gently updates the music of the past. 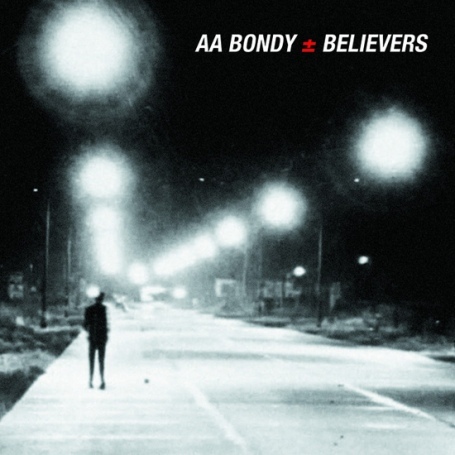 For his latest album, Believers, Bondy trekked out to California—Los Angeles, specifically—to work with producer Rob Schnapf (Beck, Elliott Smith, Bondy’s former band Verbena). That westward trajectory may worry some fans and listeners, as Los Angeles tends to blur regional distinctions and has historically brought out the bland in acts like The Band and Bob Dylan, who made some of their least essential records on the West Coast. Whenever Bondy’s lyrics begin to sound too fractured, too obscure, or simply too dreamlike, the guitars take over. Emphasizing electric over acoustic, Believers possesses a lovely, low-key, late-night sound, its chiming notes trailing over like passing lane lines. “Surfer King” opens with delicate notes suggesting the rugged ambience of an idling motor, while “Scenes from a Circus” builds gradually and disconcertingly with each chord. On “The Twist” (which is definitely not a Chubby Checker cover), Bondy repeats a scorched riff until it becomes hypnotic. This is music for night driving, as though Springsteen’s Nebraska and Mogwai’s Die Young rode the same strip of lost highway. The concision and economy of Believers is impressive, as Bondy and Schnapf get a lot of mileage out of only a few elements. But what truly makes the album memorable—and what makes it arguably Bondy’s best—is the atmosphere that pervades every song: A nameless dread presses in on the singer and the listener, some deep worry that feels very 2011 without pandering to headlines or issues. It doesn’t sound like a Los Angeles album—or a Delta album or a Woodstock album either. Instead, Believers evokes the space in between these locales, the endless stretches of asphalt that in Bondy’s America lead only into the unknown.